I have gotten into the habit of bay walking. 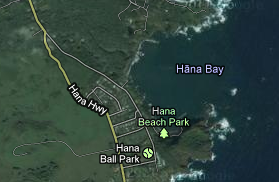 I see a little bay, and I feel like I must walk it. So, every once in awhile, I have to sneak in a walk from outside the San Francisco Bay Area. 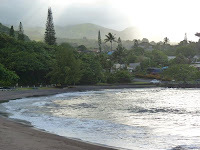 I wasn't in San Francisco this past week, but rather in the southern part of Maui, in the little paradise town of Hana. 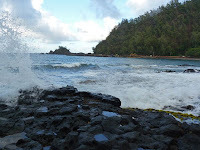 The southern part of this bay has a road, and/or a sandy beach that can be walked on, but the rest of the bay involves climbing over dark, lava rocks that are planted in the sea. Because the weather was starting to look like rain, I didn't walk the whole bay. But, it's nice to leave a little bit left to finish, to look forward to, for a return trip in the future. 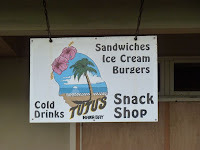 Plus I look forward to stopping at Tutu's ice cream stand next time; they were closed when we were at the Park. There are many small bays on Maui, and the rest of the islands. 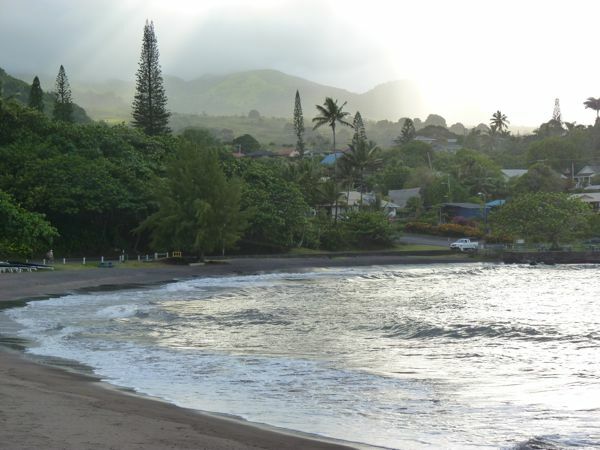 Kahului Bay/Harbor was the other small-sized bay that I walked, in part, last week. 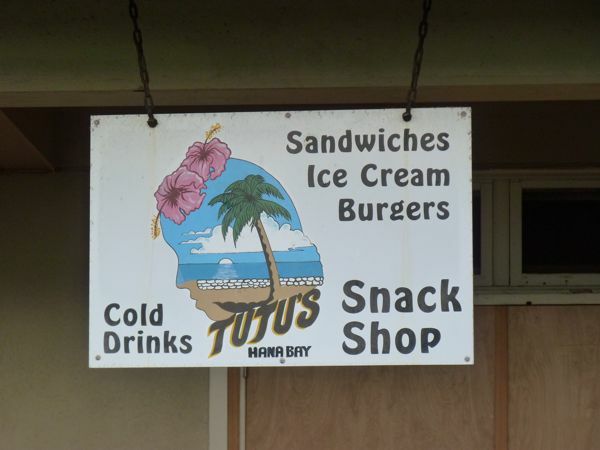 Kahului is on of the northeastern side of Maui close to the main airport (OGG).